As moms, we are used to always putting ourselves last. I would do anything for my two girls and am always considering their needs before my own. Life is hectic when you have kids and we often forget that we need TLC too! I get it. Moms are busy people, but we can’t forget about taking care of ourselves. We need to feel good both mentally and physically so taking some time to pamper ourselves daily is something that we need to do. If not for ourselves, do it for the kids. They want a healthy and happy mom. Really taking a few minutes out of the day to do something nice for yourself or something that makes you feel good doesn’t take that much effort. These may be things you are already doing, but changing them up to make them a little more meaningful can make all the difference in the world. It’s the little things that make a big difference. Here are five small things I do to pamper myself everyday. They have become like second nature to me and always make me feel better. 1. Coffee Break: I look forward to my morning cup of coffee (or two!) every day. I find it really helps get me going to start my day. I usually sit in my sun porch with a steaming cup of flavoured coffee and watch the sunrise and listen to the birds sing. Yes, I’m a morning person and proud of it! I couldn’t imagine starting my day any other way. It wakes me up and gets me motivated to take care of what needs to be done. 2. Exfoliate & Moisturize: I add some simple luxuries to my shower routine that both make me feel wonderful and don’t take up that much time. A few times a week I’ll use a body scrub to exfoliate. It helps to get rid of dead skin cells and leaves my skin feeling so smooth. After my shower while my skin is still warm from the water, I’ll apply my favourite scented body lotion to moisturize. I love the smell and how it makes my skin very silky and soft. 3. Glamourize: I usually only wear light makeup when I’m just staying home. I use a bit of foundation, blush, eyeliner, waterproof mascara and a coloured lip gloss. I notice that just adding a little dash of colour here and there always makes me feel 10 times better. I also love to accessorize with some jewelry. I have a varied jewelry collection from dainty earrings & necklaces to chunky crystal bling that makes a big statement. I’ll normally decide what I’m wearing depending on a combination of my outfit and mood. 4. Mindful Meditation: I started meditating in 2006 and it’s become one of my favourite ways to combat stress. I find it helps me become more relaxed and focused and I always feel more at peace afterwards. It only takes about 5 minutes out of my day. Really all it is clearing your mind and focusing on your breathing. My mind wanders at times and I simply acknowledge it and bring its focus back to my breath. I sometimes listen to meditation music that I have on my phone. It just depends on the day. 5. Read to Unwind: My love for reading stems right from childhood. I always had my nose in a book and would spend hours on my couch curled up with a good book. Now that I’m an adult that love of books still remains, but time is harder to come by. Now I read before I go to bed at night. It’s the best feeling to lose yourself in an amazing story and live vicariously through the characters. My house is full of book shelves and I’m always adding to my collection. I read till my eyes start to get heavy and then I fall asleep right away and there’s no tossing or turning. What are some of the things you do everyday to pamper yourself? Disclosure: This post was brought to you by Lysol via Glam Media Canada. The opinions expressed herein are those of the author and are not indicative of the opinions or positions of Lysol. I love reading but its so hard to make time! Coffee breaks are a must! it’s the morning relaxation with a cup of coffee that kickstarts my day! Great tips! 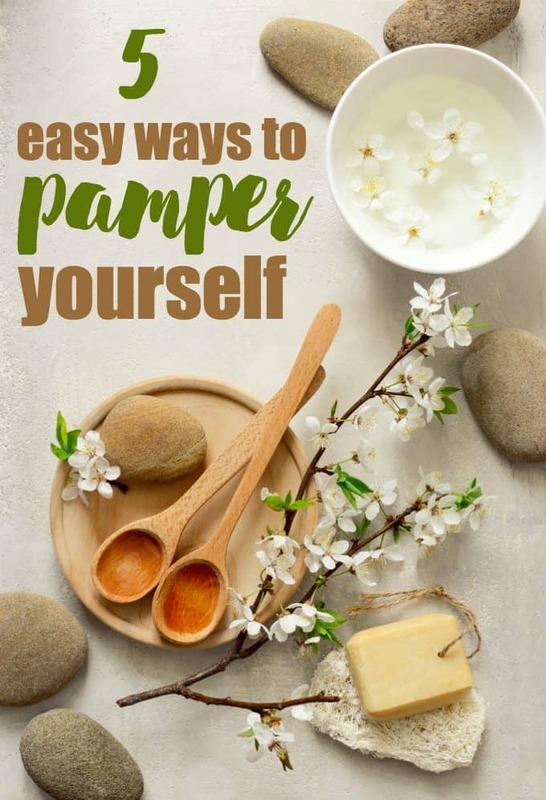 Exfoliate & Moisturize is a favorite…I also love reading but don’t get enough time to do so! I agree 100%. I out everybody first, and also make sure to take care of me as well. I would have to add my #6, have a little ice cream! I love these tips. I love to pamper myself by a nice hot bath with no interruptions. Great reminder to take time for yourself. I so don’t do that enough. I enjoy sitting with my feet up; it always makes me feel a little better! I believe it it so important to pamper yourself, you need to to keep sane and happy when you have kids. Coffee is a big one for me, and iced caps. I also take bubble baths, watch my favourite shows, have a glass of wine here and there when the kids are in bed, and go for a manicure/pedicure! I really do love giving myself at-home facials to relax, it’s one of the best ways to unwind and give yourself some special attention. Great tips! There is something so special about the little things you can do to pamper yourself that can change your whole mood – even just painting your nails.. I try every week to do SOMETHING to treat myself that way – it keeps you going! I wish I had time to do a few of these, maybe one day? I like relaxing in the tub with music on, but the kids always come in and sit around the tub and try to talk to me. I use extra nice essential oil infused lotions and creams to pamper myself! Bubble baths with my baby girl, she washes my back for me with bubbles and brush and I wash her hair. Simply relaxing before bed time. 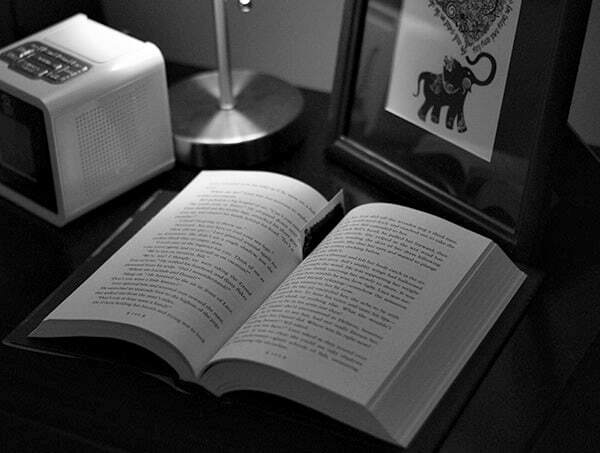 Reading definitely helps me relax! I sure needed this list of reminders. I’ve crazy over worked lately. O.K. Stacie… I need to some tips on Mindful Meditation. That sounds too good to be true. Just a moment during the day to get re-focused. Do you have any blog posts about that? Yes, I’m learning about it through my doctor as a way to help anxiety. She recommends the book, The Mindful Way through Depression: Freeing Yourself from Chronic Unhappiness. It’s basically just focusing on your breathing and keeping your mind in the present. If it wonders which it will, you acknowledge and bring it back to your breathing. It’s great to help you relax and you get to know your mind. I also do it when I have moments of anxiety. I’m a worry wart so I needed something and this seems to help! Everyone needs some “me”time and to do something for themselves. Whether it’s a bubble bath, some reading time, or your favorite Tv show. Make sure you make time to enjoy hings and unind. I have to have time to read. I do stretches. And I swim 3 times a week. One way I pamper myself is with the use of scents. I feel better when things around me smell good, so I use scented candles and essential oils liberally. I love ending the day with a cup of chamomile tea. It’s like my reward for getting through a hectic day! I need to add regular exercise and spa treatments to the mix. I like your exfoliating/moisturizing ritual — really need to do that. I really need to take your advice on this one. Everyone in the family I usually put before myself. I received a giftcard for Mother’s Day to get a massage and still have yet to use it. After ready this blog I think Im just going to call and schedule my massage I definitely need it 😉 Thank you! I need to start doing this more often! I think you hit the proverbial nail on the head – reading, coffee, and quality sleep. We are, after all, human, and need to keep those batteries recharged! You got me- I never moisturize and rarely wear make up any more. Your right, you do have to make an effort and take care of yourself. I do walk on the treadmill daily. I start my day with Green Tea instead of coffee and NO I am not a morning person, although I do get up pretty early in the morning. I do an at home facial at least once a week.